A high-level delegation from European Investment Bank, the world’s largest international public bank, will make a three-day official visit to Sri Lanka later this week at the start of a South Asia regional tour. Andrew McDowell, newly-appointed Vice President of European Investment Bank responsible for South Asia, will discuss recent engagement and future investment with Prime Minister Ranil Wickremesinghe and senior Government ministers, business leaders, members of the diplomatic community and local and international financial institutions. Vice President McDowell will also inspect ongoing construction work to upgrade wastewater infrastructure in Colombo financed by European Investment Bank in conjunction with the Asian Development Bank. European Investment Bank is Europe’s long-term lending institution and owned directly by the 28 European Union member states. European Investment Bank has supported investment in Sri Lanka since 2002 including backing climate related investment, private companies and post-tsunami recovery. This week’s visit represents the first visit of a Vice President of European Investment Bank to Sri Lanka in more than five years. “European Investment Bank has a strong track record of supporting transformational investment that improves lives and economic opportunities across Asia and around the world. This week’s visit to Sri Lanka builds on the fruitful discussions with Minister Karunanayake following European Investment Bank’s first-ever support for water investment in Sri Lanka and the first loan for public sector investment agreed with this Government,” confirmed Andrew McDowell, European Investment Bank Vice President, before his arrival in Colombo. “The visit by European Investment Bank is an opportunity for the Sri Lankan Government to showcase their plans for the sustainable development of the country. I am confident that strengthened engagement by European Investment Bank will lead to new investment across the key sectors that are vital for the modernisation of the country’s infrastructure. 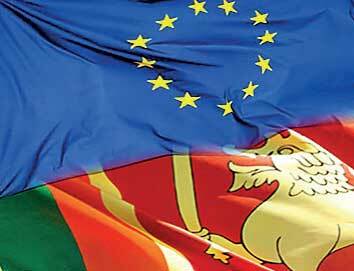 These investments have the potential to deliver benefits for all Sri Lankans,” highlighted Tung-LaïMargue, European Union Ambassador to Sri Lanka and the Maldives. On Tuesday the European Investment Bank delegation will visit a number of sites around Colombo to see how new investment is improving the supply of clean water and treatment of waste water in the capital city. European Investment Bank is one of the world’s largest financiers of water-related investment. “I look forward to seeing at first hand the hard work being done across Colombo to improve water services for the city’s inhabitants and discussions with Government ministers and other Sri Lankan partners how European Investment Bank’s unique global experience can contribute to strengthening new sustainable development and climate related investment across the country,” added Vice President McDowell. In January the European Investment Bank agreed to provide EUR 50 million to support improvement and expansion of sewage networks across Colombo. The loan will help Colombo Municipal Council to achieve its goal of providing full sanitation coverage to benefit people living and working in the greater Colombo area and represented the EIB’s fifth sovereign loan in the country. The new water investment program will include provision of a new sewage network in currently unserved areas of Kirulapone. Under the initiative a new wastewater treatment facility will also be built to reduce pollution at the Wellawatte sea outfall. Asian Development Bank will also support the water investment project and this new initiative marks the first time that European Investment Bank has financed a project alongside another international financial institution in Sri Lanka. Looking ahead, European Investment Bank expects to provide more than EUR 1 billion each year to support new investment across Asia. Last year the European Investment Bank Group provided EUR 84 billion to finance new investment around the world, including EUR 19.6 billion for climate-related investment.